Please enter e-mail address and click "subscribe" to get started. 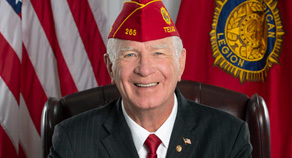 The American Legion Online Update includes news stories, slide shows, video features, and advance notices that relate to veterans affairs, Legion programs and activities, and members of the Armed Forces. The weekly publication also features links to reunions, emblem sales, and advertisers who provide discounts and special offers to Legionnaires. 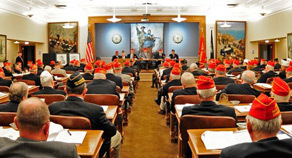 The national commander sends out regular e-mail letters, usually twice monthly. 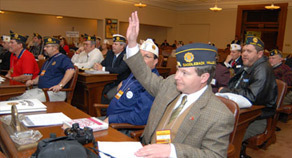 The topics focus on important American Legion initiatives and programs, and items of general interest to the veterans community. 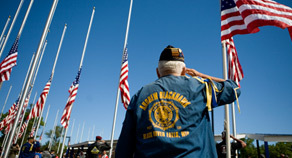 The American Legion Flag Alert provides an e-mail notification when the flag of the United States is to be displayed at half-staff. 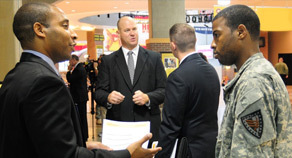 The American Legion's Veterans Career Center Newsletter is an electronic mailing that offers a comprehensive listing of military job fairs around the country, information on career resources, and updates on legislation that affects veterans employment or education benefits. The newsletter is emailed on a regular basis and is a valuable resource for staying updated on all things concerning veterans employment. 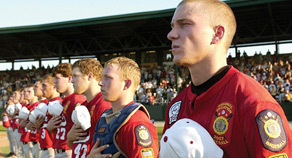 The Dugout keeps American Legion Baseball coaches informed on registration information, the tournament guide, previous star players, news stories, events, updates and more. The American Legion Riders Update E-newsletter provides information on the American Legion Legacy Run, including how to register, the route and anything else participants will need to know. 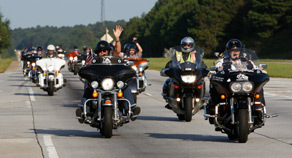 The e-newsletter will share information on ALR program updates or changes, as well as links to external media stories about what Legion Rider chapters are doing across the country. 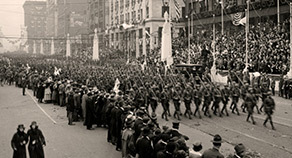 Join us in celebrating 100 years of The American Legion. 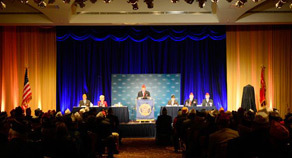 The focus of this periodic, Legionnaire-driven circular is to highlight best practices, ideas and creative thinking of Legionnaires throughout The American Legion. It is hoped this newsletter will lead the way to much broader training for Legionnaires wanting to know more, but really wanting to do more. What we know is important but what we do with what we know is crucial. The Digital Dispatch is e-mailed to subscribers monthly and at other times when news warrants. The publication is aimed at department and post leadership. Stories focus on important topics to veterans and military members such as health care, jobs, Capitol Hill action and more. The newsletter also includes links to membership incentive programs and community forums on making posts successful. We would like to keep you informed of discounts that you are entitled to receive as a member of The American Legion or Sons of The American Legion. To help us get to know you better, please click the button below to specify which types of services/discounts you are interested in, and we will only send you emails with discounts from your preferred categories. 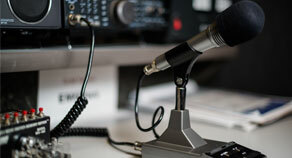 The monthly American Legion Ham Radio Club e-newsletter provides timely information, resources and more to members.